Rail projects around the world are on the anvil and manpower requirement for qualified and accredited rail personnel is growing by leaps and bounds. There are several rail opportunities in the wider region and beyond. Most countries have been investing in railway development as a more economic and pollution free public transport system. There is a growing need amidst all governments around the world to fight growing road congestion and environment pollution problem due to heavy traffic. India has a large pool of skilled manpower and capability to fulfill rail project manpower requirements have also grown in recent months. Qatar Rail will have a four line metro system; a rail system for trade and passengers and a light rail system. These transportation systems will connect Qatar internally and to the GCC. Contracts for these projects will be awarded between 2013 and 2014. In April, there will be a worldwide recruiting campaign. Qatar estimates USD 38 billion in rail project returns over 20 years. Indian railways have also been a labour intensive industry and the new economic growth path of the country has led to new rail projects including metro rail, freight corridors, etc. Currently Indian railways have 1.5 million regular employees but the new rail projects coming up demand more skilled labour force hired as temp workers. Jaipur Metro Rail recruitment is in the process of recruiting temporary workers under its Metro rail development project in Jaipur. There are vacancies opening up in various sectors like Project development, MD office, Operations and Systems as well as Finance and Accounts. Network Rail in the UK has announced the biggest investment in rail infrastructure since the Victorian era. It plans to spend £37.5bn to meet the predicted 400 million extra passenger journeys by 2020. Work is gathering pace at Crossrail and Thameslink, which will together provide much needed capacity across London. Meanwhile the government is firming up plans for national mainline electrification and the roll out of Europe’s fastest railway, High Speed 2. Given the scale of rail projects in and outside India, this sector has enough attraction to be an engineer specializing in rail projects. 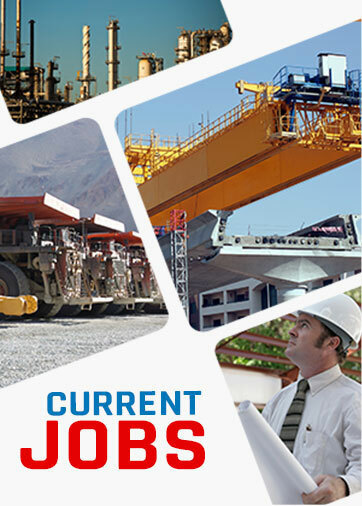 Rail sector is regularly attracting skilled labour force on temporary as well as permanent basis. Major projects around the world face the threat of being stalled or delayed due to lack of skilled manpower. According to the surveys conducted for the rail projects, nearly 1600 to 2000 new people will be required every day in next five years in signaling and telecommunications alone with more than 30 percent of these people to be technical level and above. Only 4.4 percent of the total work force is females in rail projects. IMR has always been forthcoming in placing qualified and skilled labour at the right jobs in railways projects. IMR also helps in developing apprentices in railway sector that emerge as skilled workers in various rail construction project like track, signals, electrification and plant, signal design, and telecoms. IMR holds a large resource of skilled manpower for companies looking for labour for infrastructure, electrification, stations, metro projects, rail freight corridors etc.